Poland, the country of peace, is a member of European Union (EU), and for a long time it has maintained a strict immigration policy due to existence of Soviet Union and its clandestine security threat. However, now it has started a comparatively liberal policy to cope up with the pace of the development around the world. Poland`s geographical position makes it strategically important as it serves as the link between the west and east part of the world. Those people, who are planning to migrate to some other place for better economic opportunity, the thought of Poland immigration could be a wise one. Historically, the nation has never been immigrant friendly but now the time has changed due to certain world phenomena. When Poland joined the European Union (EU), people from the country started migrating to Western Europe for better opportunities. Meanwhile, Poland has started building basic infrastructure to get back on the track on economic front. The effort has paid, and now Poland is counted among elite nation. Though, till now, the country has not been much relied on working class, but now when the country is striving to become economy power house, it will surely going to require working class, which will force it to facilitate immigration. Further, if you are an investor and like to invest your fund, the place is right for you, as it can yield you large profit. Let us look into the economic condition of the country that can be helpful for the people, who are planning to move to the destination! Poland is high-income economy and is considered to be one of the fastest growing economies under the EU. It has a strong domestic market which insulates it from world economic crisis, and one of the examples can be that when in the 2000s the whole of EU was facing crisis, Poland maintained its growth rate. Poland`s economy is not dependent on a single sector, that is all the sector of economy contribute equally to the Gross Domestic Product (GDP). It shows that there is opportunity for all types of immigrant. Before the fall of the USSR, the nation followed inward looking policy due to various socio-political problems of the time. However, the fall of USSR has allowed it to go on for liberalization path, which Poland has followed enthusiastically. The privatization has facilitated the growth of private sector which eventually led to influx of large amount of money from foreign investors. The country is a perfect example of the transformation from centrally planned economy to capitalism. This country has shown the whole world that a country with fewer resources could also be economically affluent. Immigrants from around the world are trying hard to get into the country due to various reasons, and one of them is obviously the economic condition. The country is planning to welcome investment in service sector, as this is one of the sectors which have not been fully explored to its potential. The policy makers of the country have been making a lot of effort to invite investment, and if this happens, there will be immense amount of job in the country, which cannot be filled only by the locals. For the investor, who wants to get settle in the country will be welcomed because the nation needs investment and investor needs a good market place to get more profit. So it will be a win-win situation. Lastly, all must know that the people of the Poland are very polite and helpful and also the society is totally secular. So in every front, Poland looks a right destination to migrate. 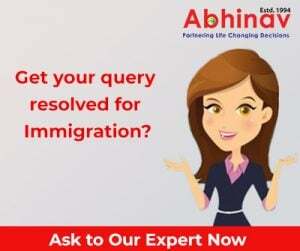 Though the nation follows comparatively liberal policy, but it is not that easy to take visa in this country because of various recent incidents happened around the Europe. The nation does not want to risk its internal security as extremism is all time high in Europe. For the job seekers, you need to meet with the requirement of the country and should present all original documents in front of the officials. For the investors, the move could be easy comparatively than the job seeker. You just have to have 50,000 zloty at your disposal to invest in the country, and then you will be allowed to move in.